The formation of large numbers of polyps in the colon has a high probability of developing into colon cancer, if left untreated. The large-scale appearance of polyps is often due to a hereditary cause; in this case the disease can occur in multiple family members. Under the leadership of human geneticists of the University Hospital Bonn, a team of researchers discovered genetic changes in the MSH3 gene in patients and identified a new rare form of hereditary colon cancer. The results have now been published in “The American Journal of Human Genetics“. Colon polyps form like mushroom shaped growths from the mucosa and are several millimeters to several centimeters in size. 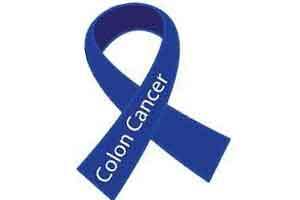 They are benign and generally do not cause any symptoms however, they can turn into malignant tumors (colon cancer). Physicians refer to the development of a large number of polyps in the colon as “polyposis.” Scientists have already discovered several genes associated with a polyposis. “However, about one-third of families affected by the disease do not have any abnormalities in these genes,” says Prof. Dr. Stefan Aretz, head of the working group at the Institute of Human Genetics at the University of Bonn Hospital. Therefore, there would have to be even more genes involved in the formation of polyps in the colon.